WANT TO BE A NERDY BLOGGER? Middle grade fiction is often a battleground for good and evil. It’s a crucial part of plotting; this clash between heroes and villains is a primary conflict from the oldest stories of many cultures. Often the antagonist emerges from another experience, one very different from the protagonist’s, and has motivations that are diametrically opposed. When these villains represent pure ignorance, intolerance, and cruelty, middle grade fiction is invaluable as a model of success: We can defeat the monsters. We can protect our world. Sometimes there is no question of the need to show this. And yet in many situations, the “monsters” are simply the “other”: unfamiliar, different, and villains only in word. My work takes place on historic borders, and the identity of the heroes and villains depend on what side you stand. I’ve always been interested in asking if there are two sides and what those individuals on the “other” side were thinking. This is an instinct that began very early in me. My father often read aloud when I was little. One of his favorite books to share was The Hobbit. He sat on the edge of my bed at night and regaled me with the journey of the uneager hero Bilbo Baggins. Bilbo was not the character who stayed in my mind; it was Gollum, the greatest villain of the book, a truly horrific monster who dwelt in a dark, swampy abode. Gollum had long worn the Ring, a source of power and corruption that, among other things, could make its wearer invisible. How about this for nightmare fodder: With the Ring on his finger, thus unseen in the darkness, Gollum would leap upon his victims and murder them to eat them. This may not have been the most appropriate read-aloud material for a young child—but it prompted me to think. Gollum was so clearly “other,” and, even though I was terrified of him, I was curious. What did he really care about? Could he be a good person (or creature)? Did he have to he wholly evil? Why was he written as such? By asking questions, I somewhat allayed my nighttime fears of this monster, and then I did more: I imagined that Gollum wasn’t a villain. Could Gollum help Bilbo Baggins and be his sidekick on his journey? What if Bilbo became his sidekick? As I grew older and read more books on my own, I began to wonder of other stories: Were there two sides? What if the villain was the hero? Where would that lead the tale? Our world is full of sides, of dichotomies, of the “other”—but stories can do much to serve as bridges. Asking what the “other” really cares about and honestly wondering if the “other” could be a good person would help solve so many troubles in life as well as stories. It’s a matter of listening, having an open mind, being willing to learn, and approaching the “other” with respect. That’s one theme I’ve made central to The Mad Wolf’s Daughter: the importance of listening to and learning from the enemy. The villain of my fictional world is my protagonist, and I’ve joined her and one of that world’s “heroes” and made them work together. There are clearly two sides, and the people on each are certain that their way alone is entirely right and the other is entirely evil. But as the novel progresses, the two characters from opposite sides realize that the other is worthy of respect and kindness. That’s a mode of thinking that I hope seeps into my readers’ consciousness. I’d love to see more stories where growth comes from understanding, from exploring that which is different, and includes a willingness to change perspectives, to learn. This is a crucial model for stories of our time. This needs to be as strong a narrative theme as the classic battle between good and evil. More and more children’s authors are writing the roles of hero and villain as fluid and more complicated than they once were. Friendships can develop between sides. Borders can be crossed. We still need our monsters, and still need heroes to defeat them: We need to always show our audiences that hope, kindness, and honesty can win. But it’s crucial for readers to ask if all monsters are truly monsters, and when there’s a possibility that they’re not, to see if there are ways to work with them. Sometimes “villains” just need the opportunity to understand, and to be understood. Diane Magras grew up on Mount Desert Island in Maine. 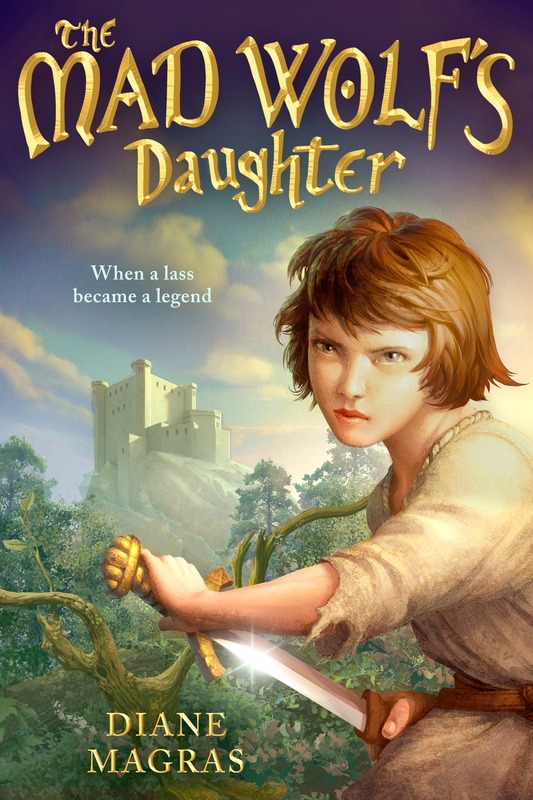 The Mad Wolf’s Daughter, the companion novel to Return to Faintree Castle, was her debut novel. 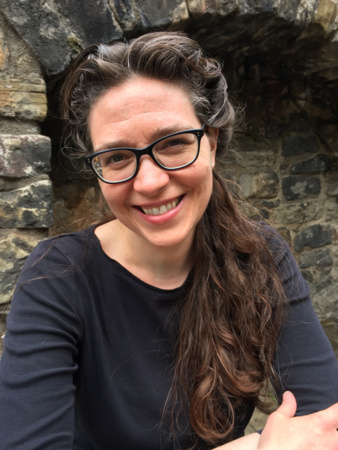 She is the editor, writer, and chief fund raiser for the Maine Humanities Council. She volunteers at her son’s school library, and is addicted to tea, toast, castles, legends, and most things medieval. You can find her online at https://www.dianemagras.com. Wow – excellent food for thought, Diane. I’ve often said that at the heart of every villian is a grave unjustice done unto them. Some horrific tragedy has set the course for their (the villains’) disdain, and what unconditional love couldn’t heal, perhaps understanding would. So many books, movies, cartoons have good vs evil, but the common ground stems from empathy. Empathy is how resolutions, revelations and closures are handled. Thanks for the read. I’ve always agreed, and you’re so right about what empathy can do. That’s one of the big themes in my book (and, frankly, everything I write). I loved this post! I agree that “villains” need to be complex. So many are one-dimensional mustache twirlers. But many antagonists don’t see themselves as “villains.” They think they are doing the right thing, even if they aren’t. Those one-dimensional villains are probably one of the reasons that I became really interested in their stories. I’ve always asked: Why isn’t the writer/filmmaker figuring out *why* the villains are doing what they’re doing? Those stories of just what you say, of people doing what they think is right even when everyone else disagrees, are fascinating. Grab the Code Below For Your Own Nerdy Book Club Badge!